Dec.2003, Sandra Mitchell (nee Buchanan) Hi Webmaister I have been looking through this brilliant site of yours almost every night since i found it! I have found ANOTHER picture of my mum, Strathclyde Primary School 1952. My mum 'Patricia Buchanan is in front row 5th from left. I live in Milton Keynes now so don't see my mum very often,I'm sure though she will be able to put names to alot of the faces. Again many congratulations on this great site. Am away fur another wander ta see whit a can see! August 2008. Susan Mitchell . 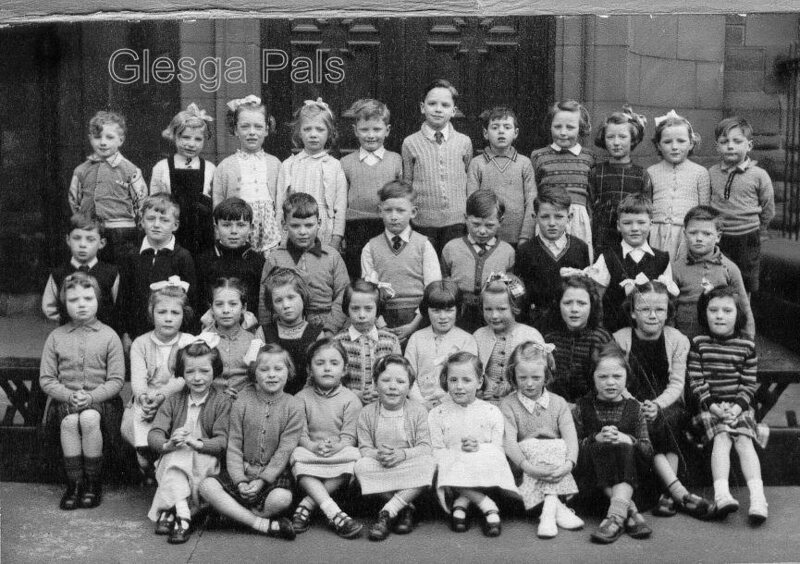 Me and my dad were looking through your site and came across the school photo for Strathclyde Primary School's Infant Class photo from 1952. I though i would let you know that my dad Jim Mitchell, (Mitchie) is standing on the 3rd row back 4th person from the left. Thanks for the enjoyment of looking at these photos my dad has really enjoyed this. Susan Mitchell, Paisley, aged 32yrs. October 2012. George Gray, Glasgow . I attended Strathclyde Primary 1951-55/56 (! was born june 46) and then we moved to Castlemilk, I recognise Mathew Porterfield the tall guy with blonde hair. My neighbour was Betty Gilmore. I have recently relocated to Glasgow after 40 Years in South Africa and I was delighted by your Website.